What is Health Insurance data? 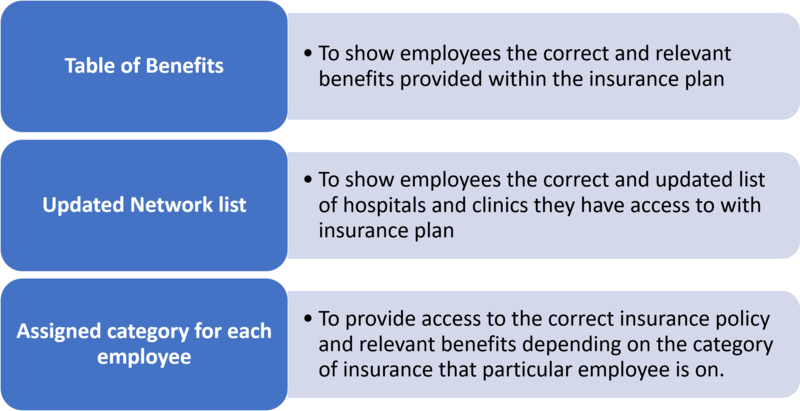 The name and categories of your corporate health policies for each employee. Why we need your health insurance data? To provide access to the correct insurance policy and relevant benefits viewed on the app. Without assigning employees to a particular insurance, we cannot invite employee to the platform. Let us go through each of the data points required for configuring your health insurance on Bayzat.